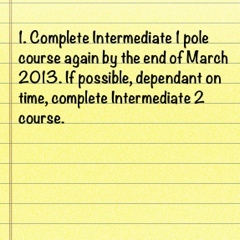 I made one of my goals for 2013 to either repeat the Intermediate 1 pole course or progress to the Intermediate 2 course. After weeks of looking for dates that suited me, I finally found an Intermediate 2 course starting on Monday 25th February for 5 weeks. 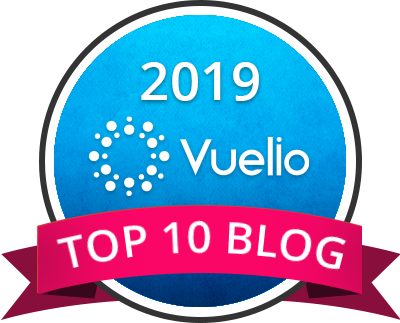 I arrived at the course eager to meet the other ladies who I would be sharing this experience with; I quickly realised that they had already met….last week..in what was actually week 1! I had started in week 2, which suited me anyway, as I was out of town the previous Monday. Having missed a whole week, it was clear I had a lot of catching up to do! After our warm up, the first thing we practised was a shoulder mount! This is another, more advanced way of getting on (and off, I presume) the pole! The progressions were obvious and huge! 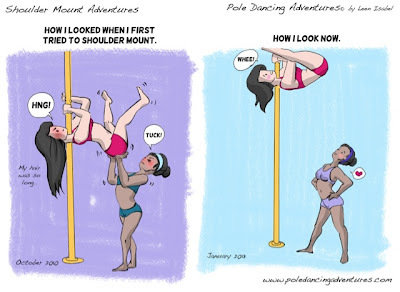 In Intermediate 1, we learnt how to invert from standing; now we had to climb the pole and invert from holding yourself to the side of the pole with no floor to push off or hold you! I surprised myself though and managed to do it! Evidence that my upper body work so far in 2013 is paying off! Yay! My favourite move of the class was the box split dismount! Lets use some imagination and visualisation here whilst I try to describe this…I’m upside down on the pole, I slide down into a handstand, release my feet from the pole and bring my feet towards my groin with my knees out to the side, open legs into a box split and slowly bring them down (straight) to the ground whilst still in the handstand. Yes! I know! …it looks awesome, and I actually did it!